The EZSmith™ brand Oregon Skinner is a high quality bolstered skinning design which is 6-1/2" inches overall in length. 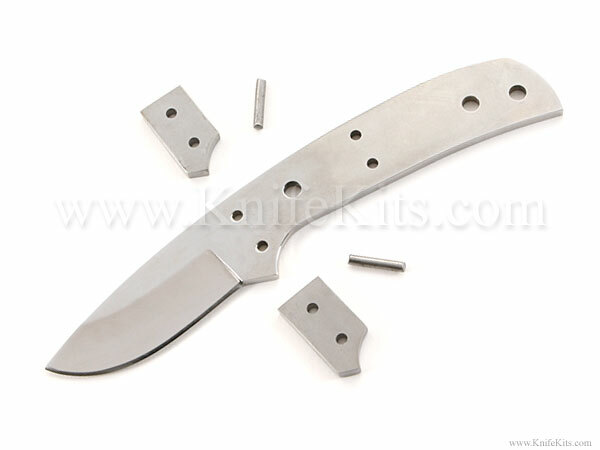 It has a 2-1/4" inch long blade that is .90" inch wide and 1/8" inch thick. 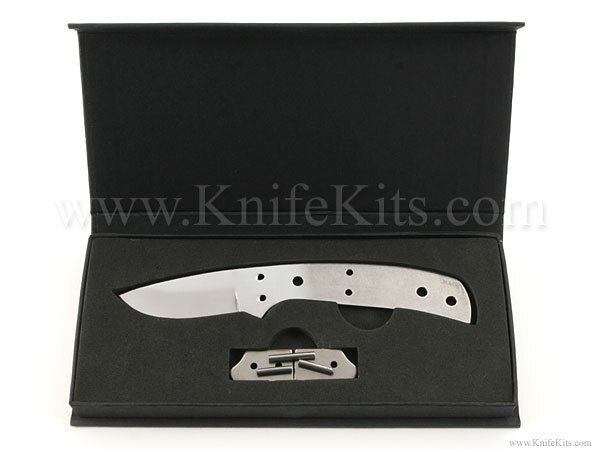 This AUS8 high carbon stainless steel blade comes with three .190" diameter holes for 3/16" inch pins, handle bolts and/or tubing. 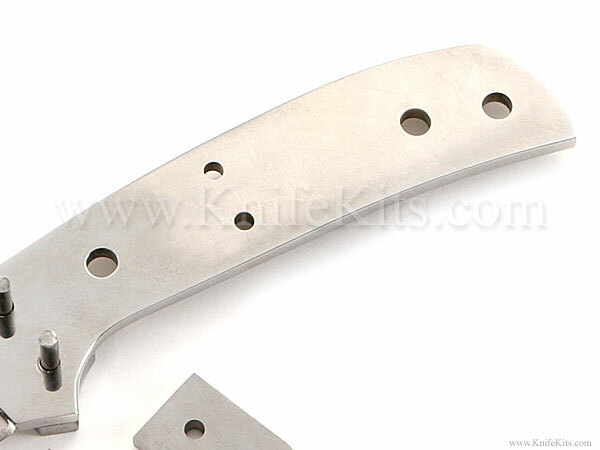 This pattern also has two 1/8" diameter holes for optional pins in the middle of the handle. 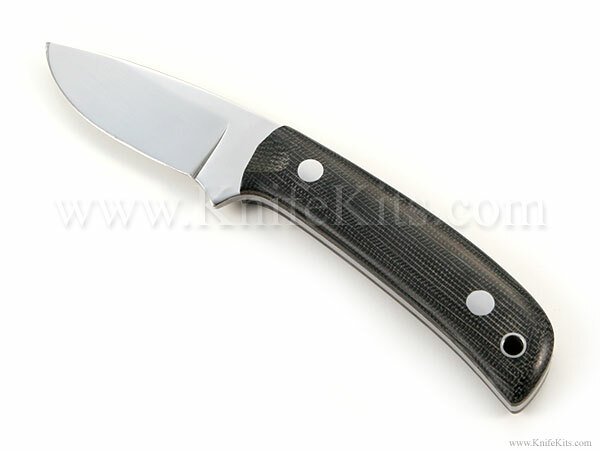 The Oregon Skinner is hollow ground and mirror polished. 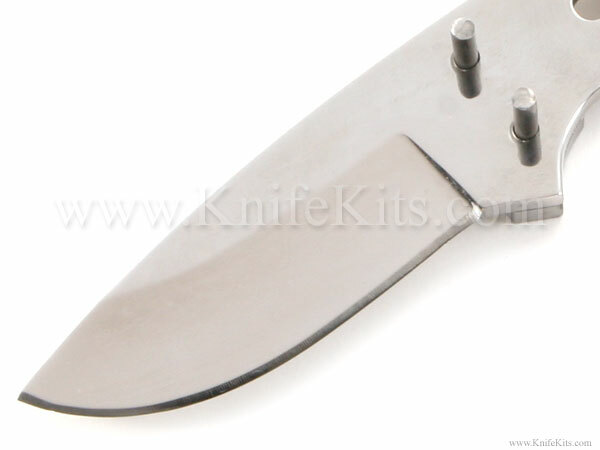 It comes standard with stainless steel bolsters and bolster pins. This is a great design for a working skinner and a really fun project to build. For handle construction, use (2) (.187) handle bolts or pins. Also see "Mosaic pins". The thong hole is pre-drilled and is 3/16" in diameter.